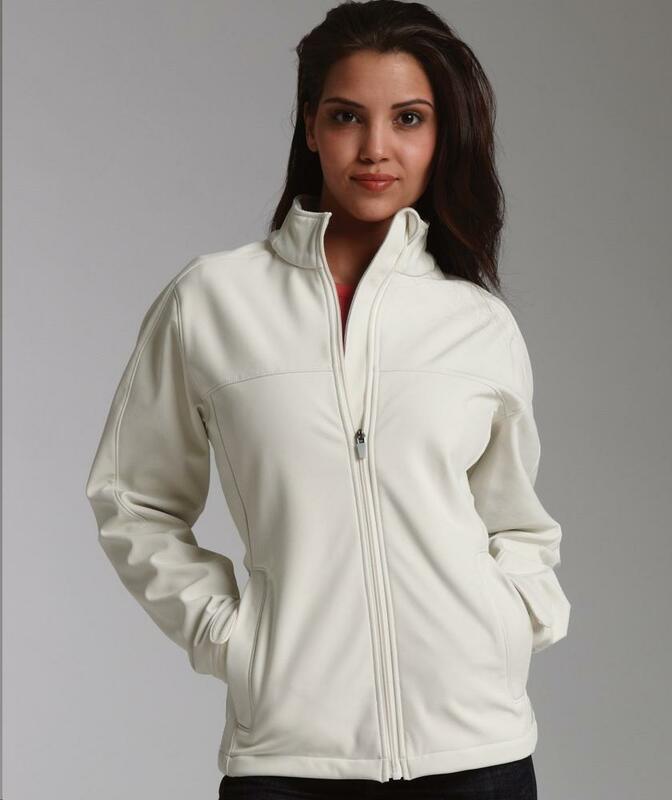 SKU: CR-5718 Categories: Polyester Jackets, Women's Jackets, Women's Clothing, Ladies Outerwear, Outerwear, Soft Shell Jackets Brands: Charles River Apparel. Hi-tech 3-layer polyester/spandex soft shell, bonded to microfleece. Wind & water-resistant, designed with a special middle laminate layer for the ultimate in breathability. No-bulk silhouette for comfort & style. Standup collar with chin guard. Wind flap provides enhanced wind protection. Zippered side & inside valuables pocket. Open cuffs with hook & loop closure. Open hem with shockcord drawstring. Women’s features fitted styling.